If you love fashion and want to design your own clothes online, there are some great ways to get your creative juices flowing. All you need to start is a little imagination and soon you'll have custom t-shirts, bags, dresses, and original clothing ideas. You are a unique individual. The clothing that they sell in the store might not fill your unique palette. In that case, you might try to design your own clothes. There are several online outlets that will let you design clothes that you can buy or just use software to create your designs. Check out some of the places where you can design your own original wardrobe. You can buy anything from t-shirts to underwear in your own designs online. Not only can you choose the cuts, colors, and fabrics, but you can add unique logos and designs as well. Maybe you want to design a shirt for your favorite book character or just want to find the perfect pattern to fit your personality. Teens can enjoy custom tees, shirts, sweatshirts, pjs and underclothes through Café Press. Not only can you find the styles that fit your personality, but you can buy your designs once you create them. Whether you are looking for a blue hoodie with a custom logo or a black razorback with your favorite saying, this website can fill your needs. Designing your own custom clothes is covered in the cost. Creating your designs is as simple as picking your product and customizing. However, Café Press has limited the number of styles they offer. Adolescent boys and girls can find dozens of different products to create and purchase on Custom Ink. You can create shirts, pants, shorts, activewear, socks and more. After selecting your style and color, you can start customizing your clothing by adding your own unique wording, images or you might choose to upload your own design. While you can use original designs, you can use templates to help you create your clothing designs as well. Custom Ink doesn't require any software but some of the clothing styles do require minimum orders of 6 pieces. Bring your custom designs and artwork to life through Apliiq. You can get custom t-shirts, hoodies, joggers and hats. The pocket tees come in all different styles and allow you to add your artwork to the pocket. You can also design printed shirts as well. Hoodies allow you to totally customize the inside of the lining. Through Apliiq, you can start your own clothing line. While Apliiq actually meshes your artwork into the fabric through sublimation, there are specific artwork requirements that you will need to meet. After payment, your custom clothes come to you. Teens looking to buy a custom dress of their own creation can find a few sites ready to order. These sites vary from offering dozens of styles to only a few. However, they are fully customizable based on what you're looking for. Maybe you want to create a dress made entirely of your poetry or have an awesome print in mind. You can custom make your prom dress too. 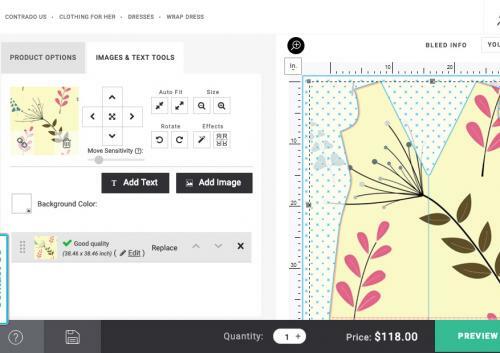 Contrado allows you to create custom fabric prints and dresses. The dresses come in dozens of styles that teens will enjoy including a hooded dress. Once you choose your dress style, you get to select the size, fabric, stitch and even the label. Create your dress online through the creator with a 360 view of the garment. Once you design it, you just have to pay for it then it will be created custom for you. Costs range from $50 and over. To get a design that is perfect, you will need high-quality images of print designs. You can use pre-made designs as well. With Printful, all you really need is an idea of what you want. This website is great for teens that have a design in mind but can't get it to come to fruition. After selecting your dress style, you can send the website a rudimentary idea of what you want. The designers will send you a proof of your custom dress before creation. If you have the skill set, you can also design and upload your original dress creation. While Printful designs are cheaper at about $40, they only offer two different dress styles. 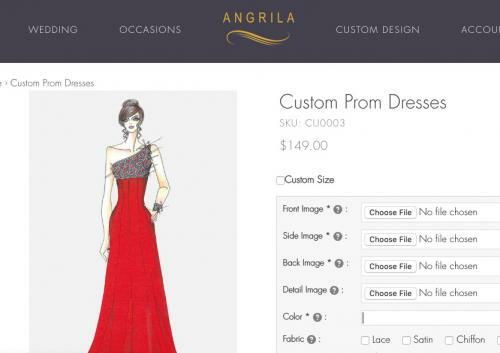 Whether you want to go semi-custom or full-custom, Angrila can fill all your prom needs. 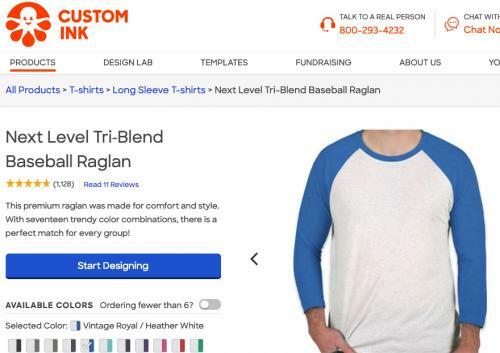 If you have an idea in mind, this website will allow you to pick your color, length, silhouette, fabric, sleeve, neckline and embellishments until you find what you are looking for. You can also upload custom images and sketches that you create and choose the color and fabric to have it create to your own unique size and shape. However, for them to be able to create your perfect prom dress, you will need an idea in mind. While purchasing your clothes is important, some teens are just looking to create the designs. 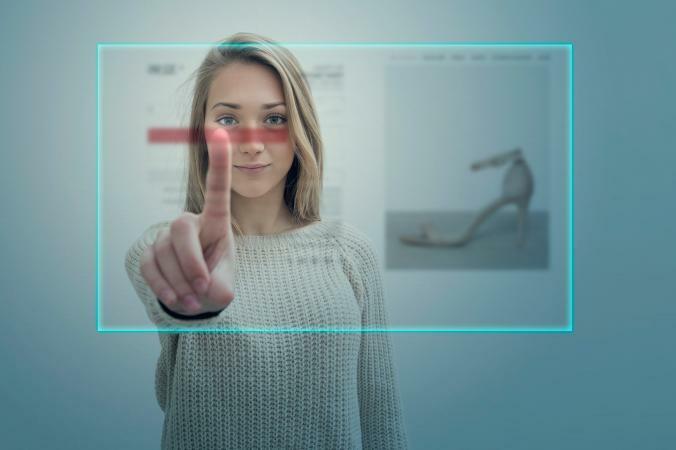 If your focus is more on the design than being able to buy them, then you can find several apps that allow you to create from a single outfit to the entire clothing line. This app for both Android and Apple products allows teens access to more than 1,000 different clothing graphics. They can not only design a single article of clothing but create an entire line including accessories. You might choose to use pre-made illustrations to create anything from jackets to jumpsuits, but also can use the free draw tool to create their own original designs. You can even style your own prom dress. Using both male and female models, Style Studio allows teens to unleash their passion for trending styles or create their own. Teens can explore not only looks and textures but fabrics, cuts, and accessories. They can also layout their own fashion magazine ads for their creations. While you can create clothing lines, there is no way to make your designs come to life through the app. Instead, you can print and share your styles for portfolio only. When you are creating your own clothing, you need to really think about the purpose of the clothing that you are creating. Explore why you want to create the clothes. Do you want to be a fashion designer or are you looking to just make clothes that you like? Do you have a unique sense of style that can't be found anywhere? Once you know the answers to these questions, it can be easier to create your designs. Examine other tips to make your clothing designs perfect. Think about the purpose of the clothes. If you want to wear your designs, look at sites that allow you to purchase your creations. 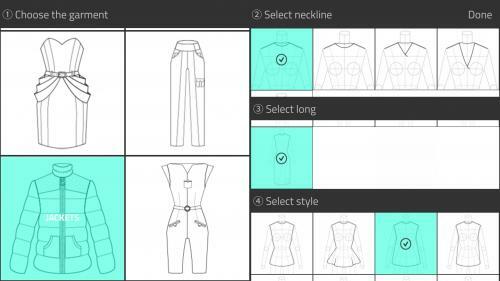 For building a clothing portfolio, design apps might be better. Find your inspiration. Look at other designs to figure out what you like. Just like painting or drawing, looking at the masters can help you to find your style. Start with a sketch of what you want. Think about how colors and patterns work together. Refine your sketch through drawing or fashion apps. Templates can be a great starting point for any design. Your own unique style is a reflection of your personality and tastes. Keep up with fashion trends, but don't let other people dictate what you design or wear. With a dose of confidence and a genuine smile on your face, you can pull off any outfit. Somebody has to start the trends-why not have it be you?! Whether you're a sweater and leggings girl or a bohemian chick, you'll have a blast as you design your own clothes online.